Prominent & Leading Exporter from Coimbatore, we offer bonnet steel casting, heat exchanger head steel casting and pump wear plate steel casting. With the support of our adroit professionals, we provide our clients a high quality Bonnet Steel Casting that is used for shaping various alloy products such as bends and pipes. The offered casting is made using utmost quality components and modern technology in adherence with industry norms under the supervision of skilled professionals. 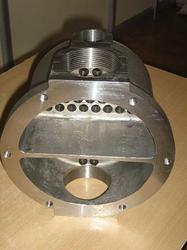 Owing to its various features, this casting is widely praised by our valuable customers. We are Manufacture of Heat Exchanger Head Steel Casting.These castings are developed by using a perfect blend of qualitative materials and innovative techniques. 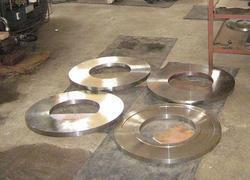 The salient features of grate plate castings include corrosion resistance, durability and less maintenance. Used in various segments, we can customize these castings as per the definite needs of our eminent clients, spread all around the globe. 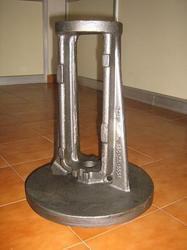 Looking for Stainless Steel Foundry Castings ?